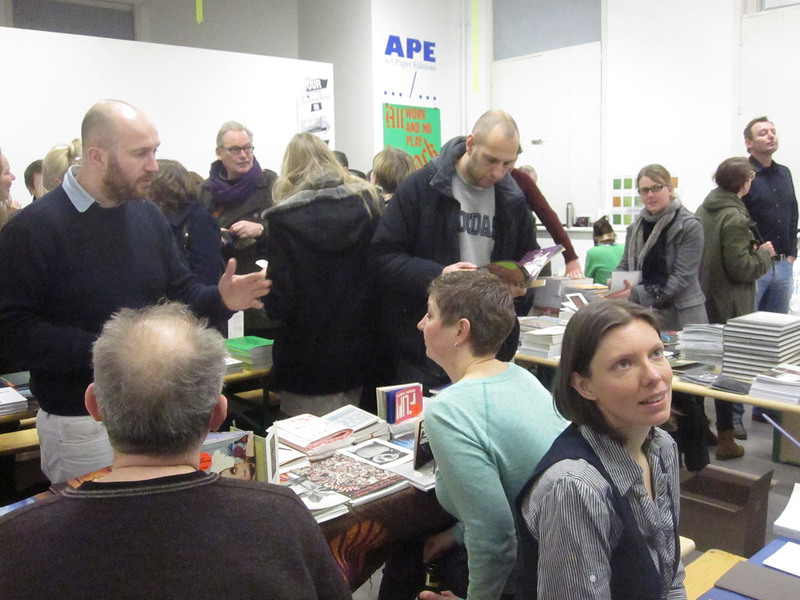 In addition to the publishers’ stalls, the book fair weekend features book launches and a series of talks enquiring into issues crucial to the evolution of graffiti and street art. 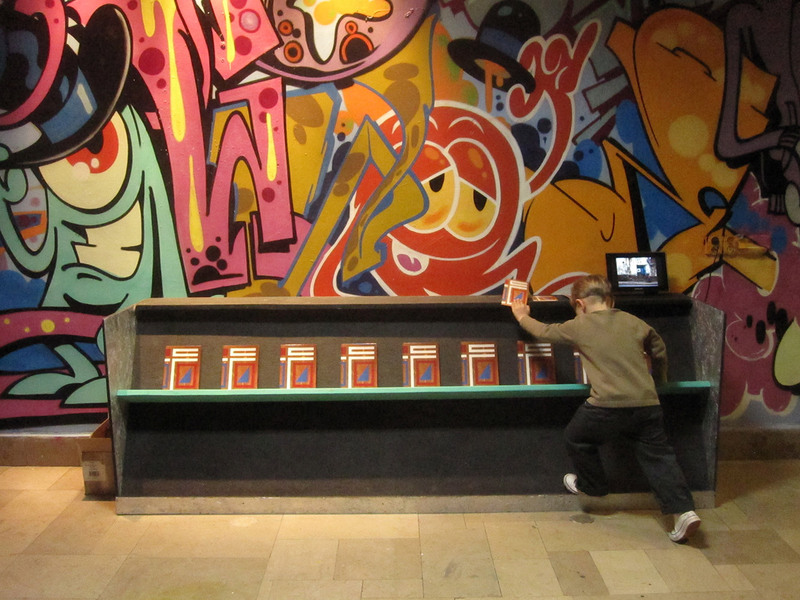 How should the exhibiting of street artworks be approached? In which directions can these practices be expected to evolve in the near future? Recently Stickit released the zine Carnaval toda la vida. A colorful zine by Zosen Bandido. To celebrate this zine, Zosen and the Stickit team will be present at the Montana Cafe Barcelona. We will sign some zines and have a drink. 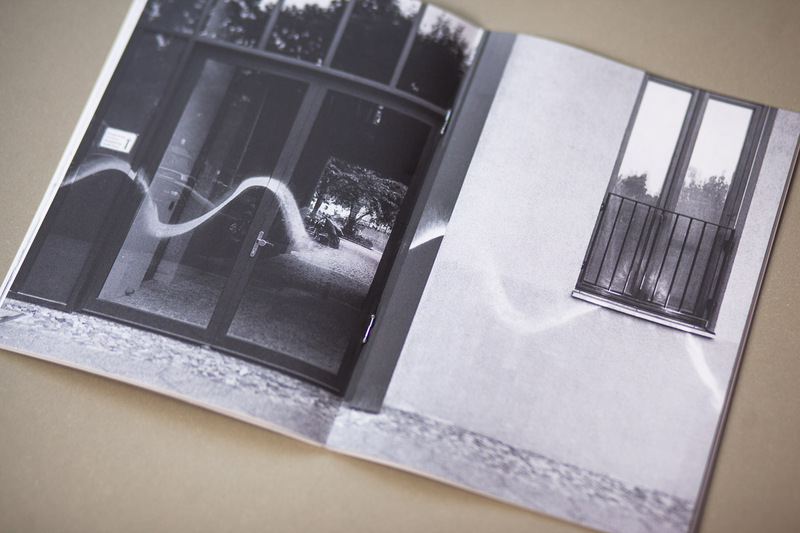 Stickit presents 'Please don't have a name', the very first book by Clemens Behr. To celebrate this publication, Clemens will show some new works (finished or not) and sign some books. 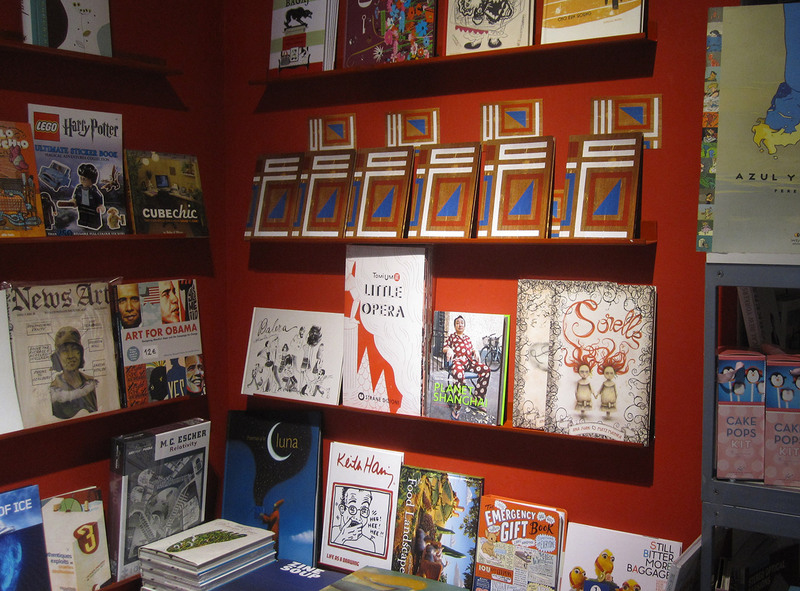 All this at the Mini Galerie, Amsterdam. 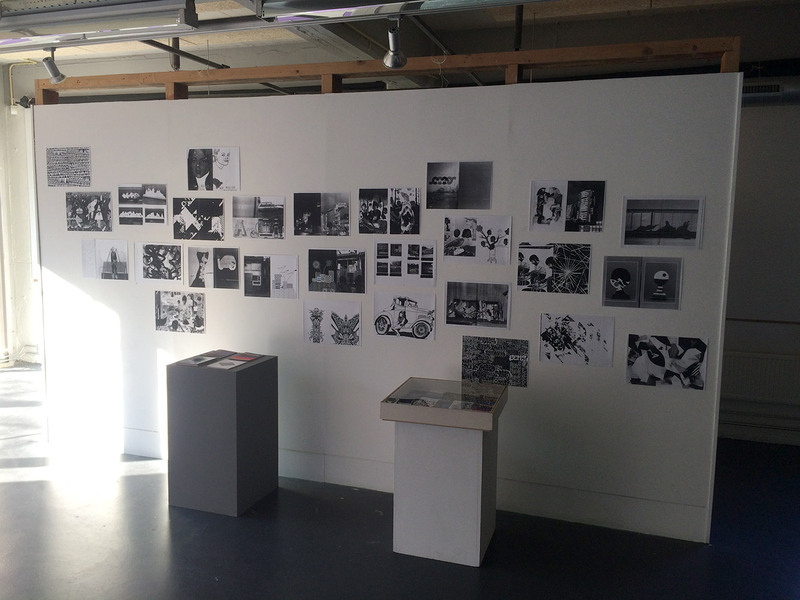 Stickit proudly presents a new publication and exhibition. Murals by Aris, Merijn Hos and Johan Moorman. Double fun: All this together with the exhibition of our friends Graphic Surgery. Pablo Tomek is a French graffiti artist who belongs to the infamous PAL crew (Peace And Love) from Paris. With his free tags and pieces he has achieved worldwide fame in both the graffiti scene and art scene. 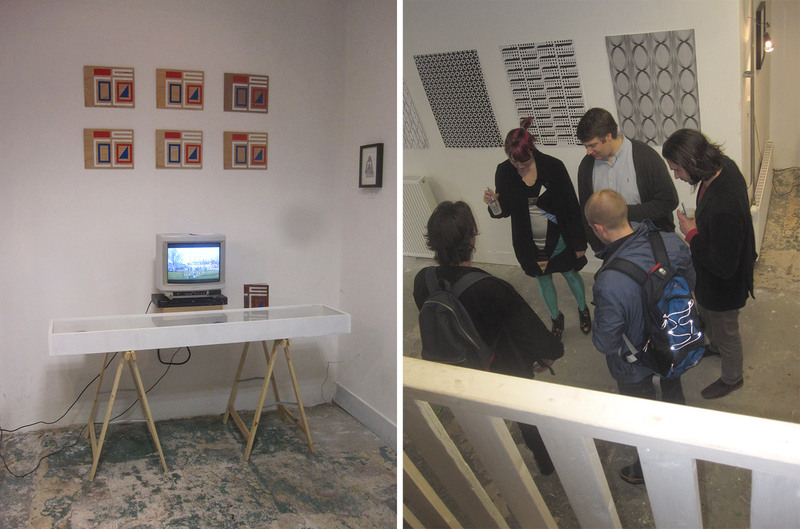 Tomek has already exhibited his work with Jeroen Erosie and Graphic Surgery at Galerie Celal (FR) and in the group exhibition of Agnes B in Galerie Du Jour. Tomek recently had his first solo show in Paris and we now have the honour to show his work in the Netherlands. 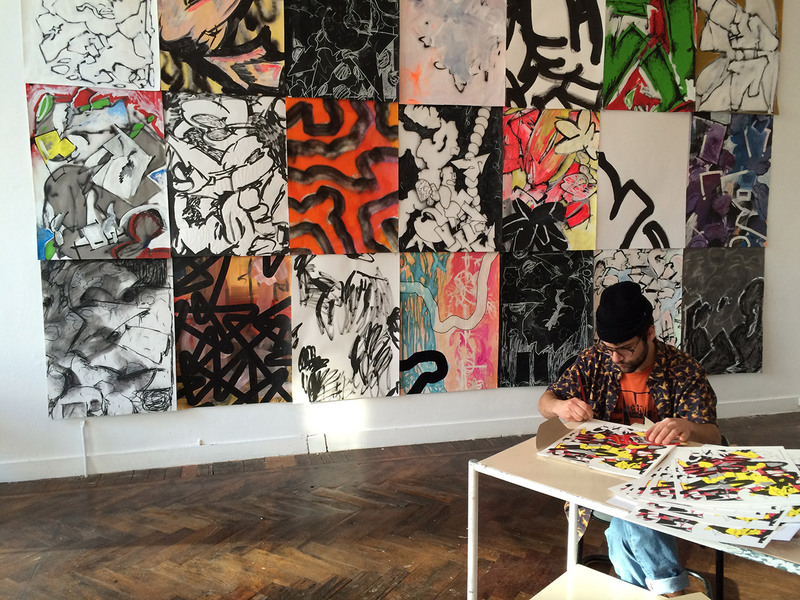 Letters and images that refer to the conventional graffiti in transition to raw abstraction. From the figurative to the abstract, from the letter towards it's abstract form. The quirky results lose every recognizable letter shape and have no reference point. Free expression with an intriguing graffiti thought. Wood Sculptures by Merijn Hos / Exhibition at Oz. 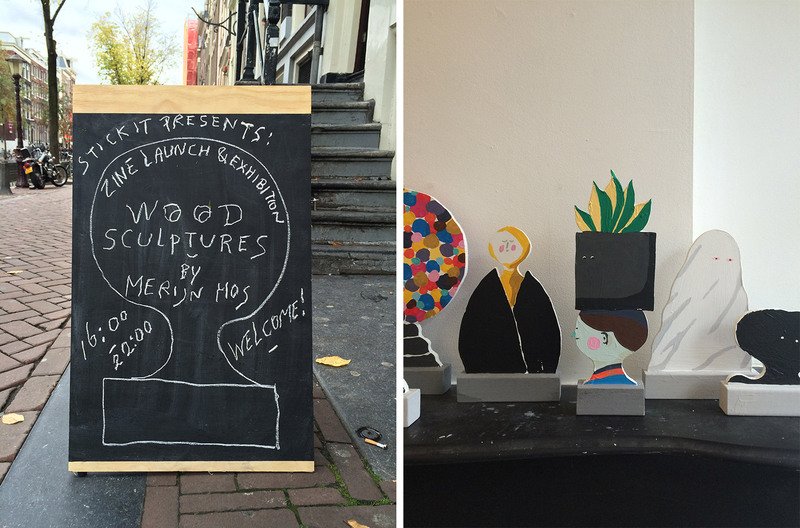 On the 25th of October Stickit will present 'Wood Sculptures by Merijn Hos', a new publication by illustrator and visual artist Merijn Hos. To celebrate the release of this publication, Merijn will build an installation with a bright collection of Wood Sculptures at Oz. Amsterdam. Please join us for a read, a chat and a drink. We've invited Jeroen Erosie to Kapitaal, Utrecht. 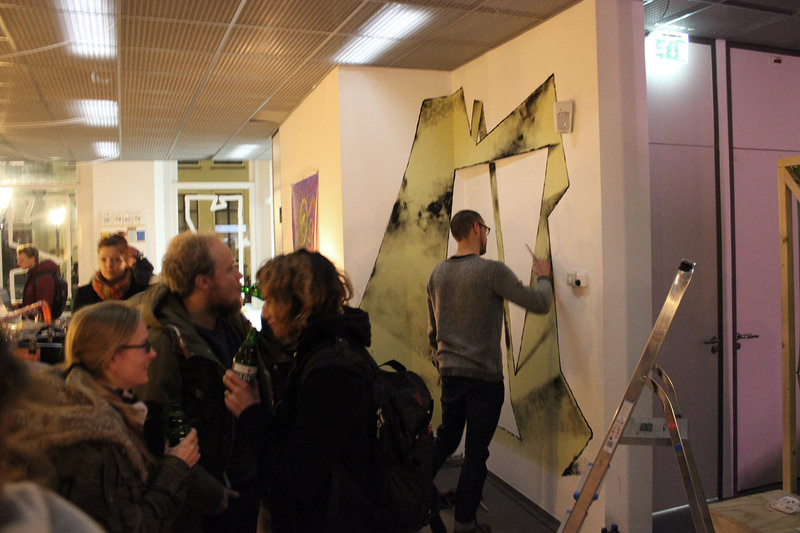 Jeroen will do a wall painting and signing at the shop. 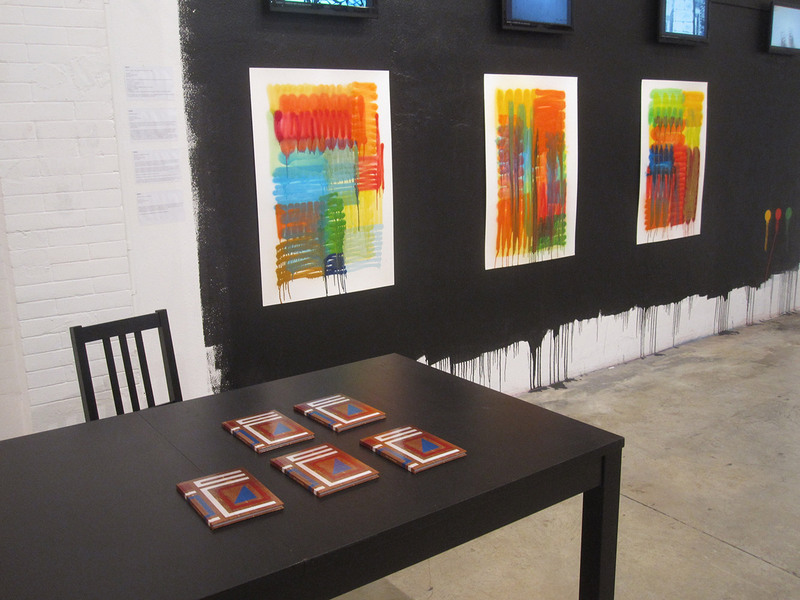 The book Line and Surface is a unique overview of Eltono's work over the last twelve years. Eltono started with his abstract geometric style of street art in the late nineties. In this book over 250 photos show the diversity of Eltono's work. 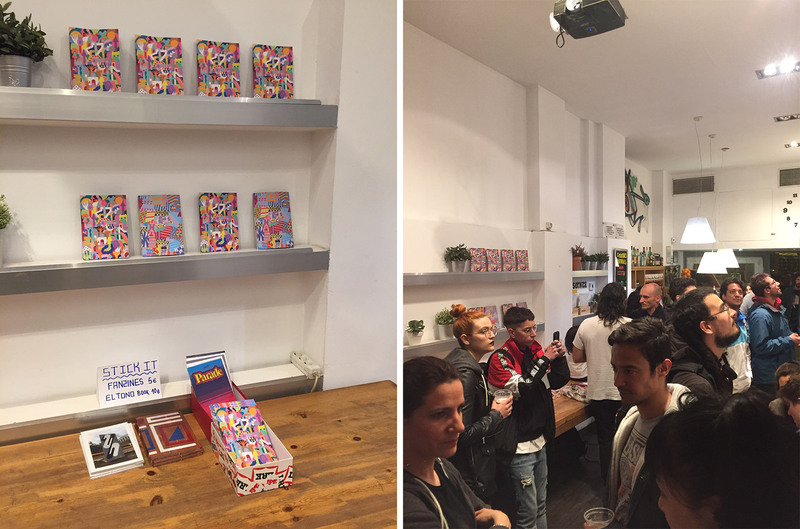 Eltono Bookpresentation / Exhibition at Oz. Introducing our new book: Eltono - Line and Surface. The book is a unique overview of Eltono's work over the last twelve years. Eltono started with his abstract geometric style of street art in the late nineties. In this book over 250 photos show the diversity of Eltono's work. 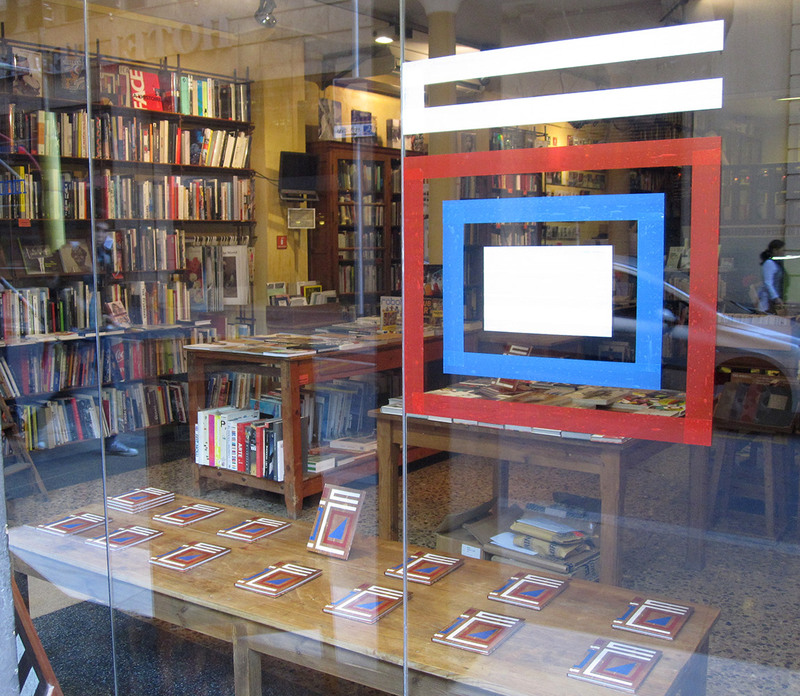 Eltono will be in The Netherlands, Amsterdam for the Bookpresentation / Exhibition at Oz. Please join us for a read, a chat and a drink. Artist run space Het Wilde Weten would like to invite you to the WBM. At the WBM, national and international artists and publishers will be presenting their remarkable art books published between 2007-2011. 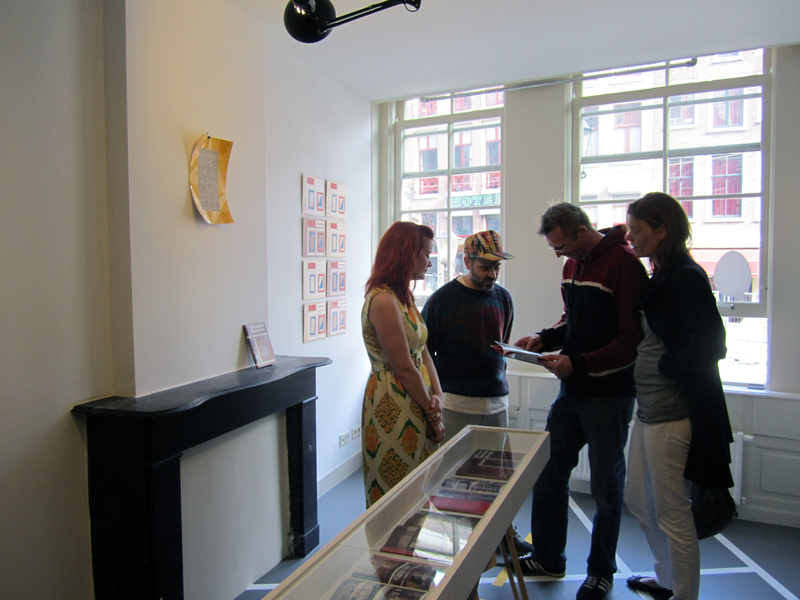 WBM is the ideal opportunity to explore, buy or exchange art(ists) books. This year WBM will be focussing on the phenomenon of the monograph. Stickit will team up with Buzzworks at the WBM 2011. 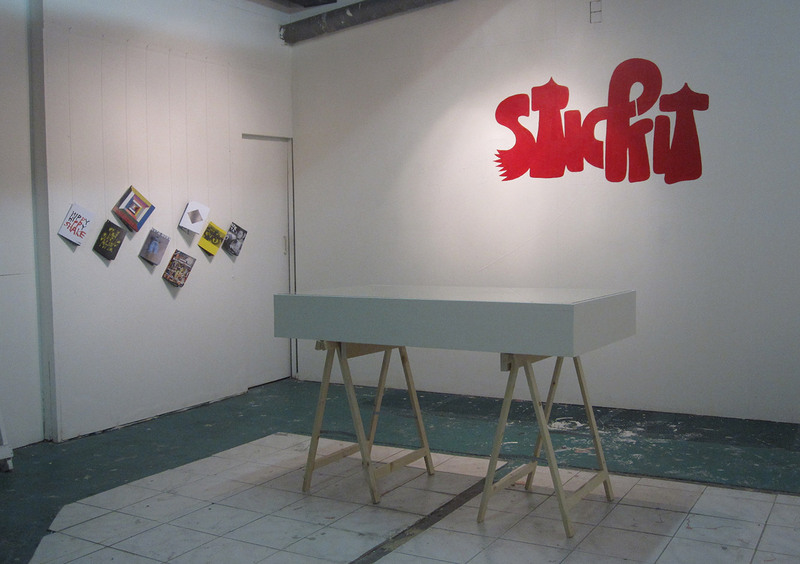 Stickit and Buzzwork publications available. WBM Opening: Friday 11 February 2011 from 19.00 - 21.00. Open: Saterday 12 and Sunday 13 February 2011 from 14.00 - 19.00. Please join us for a read a chat and a drink.